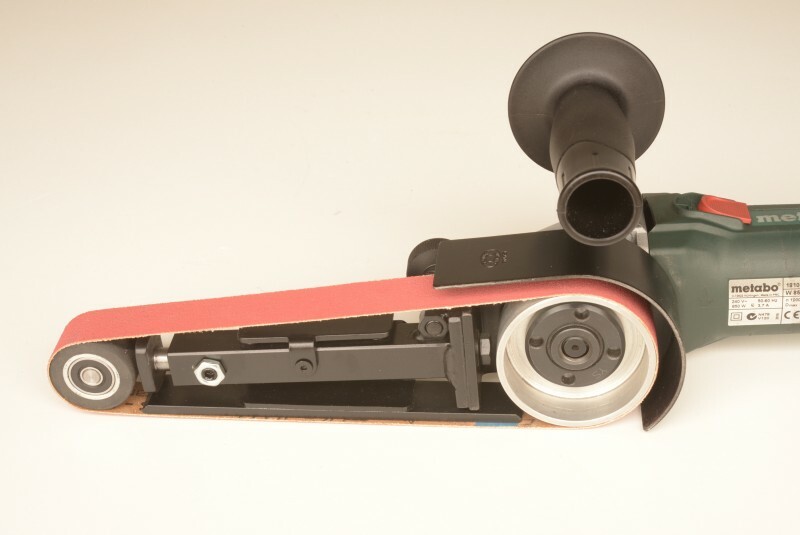 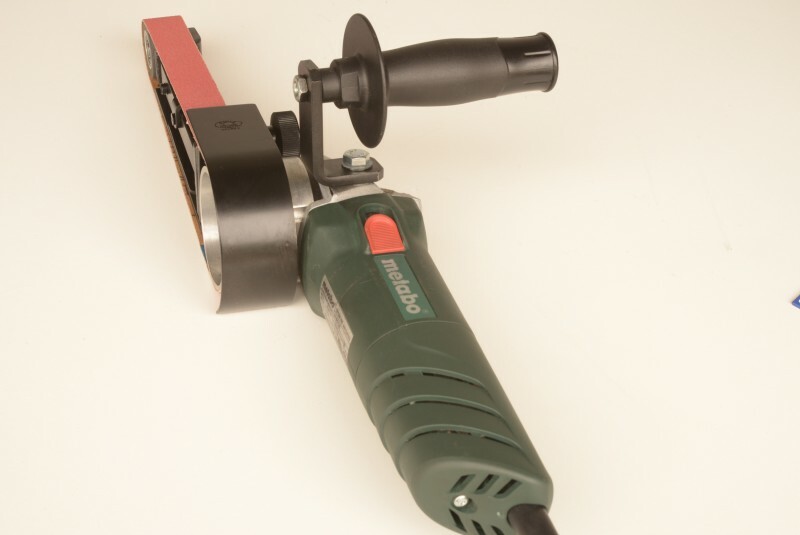 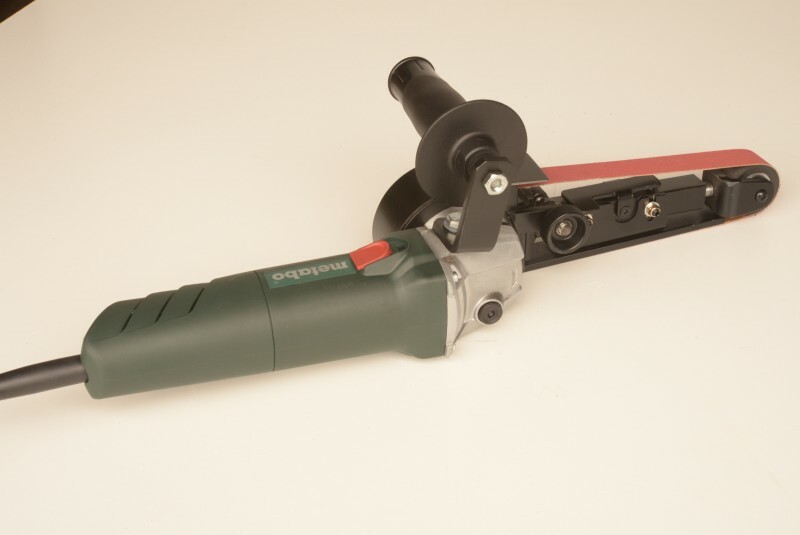 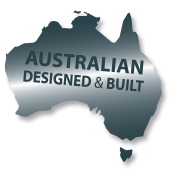 Utilising a 610mm x 25mm (24″ x 1″) belt and powered by a quality Metabo Grinder it features a hardened heavy duty platen and a swivel handle for both left and right handed use. 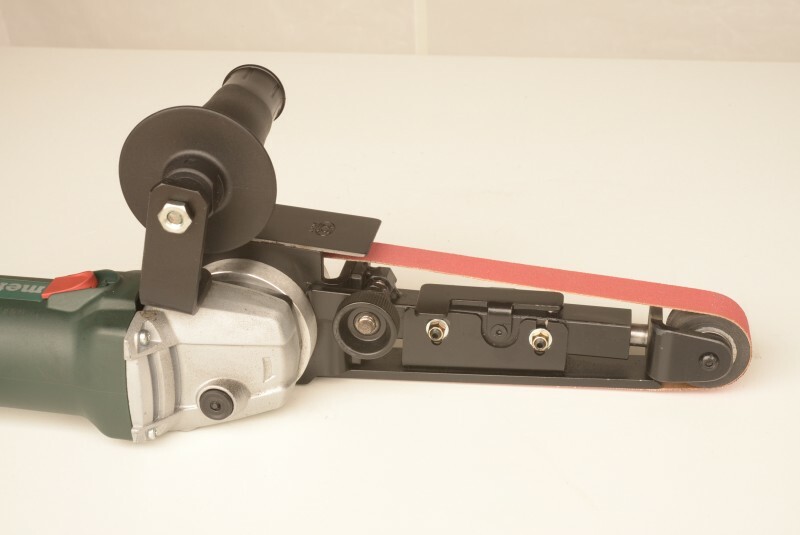 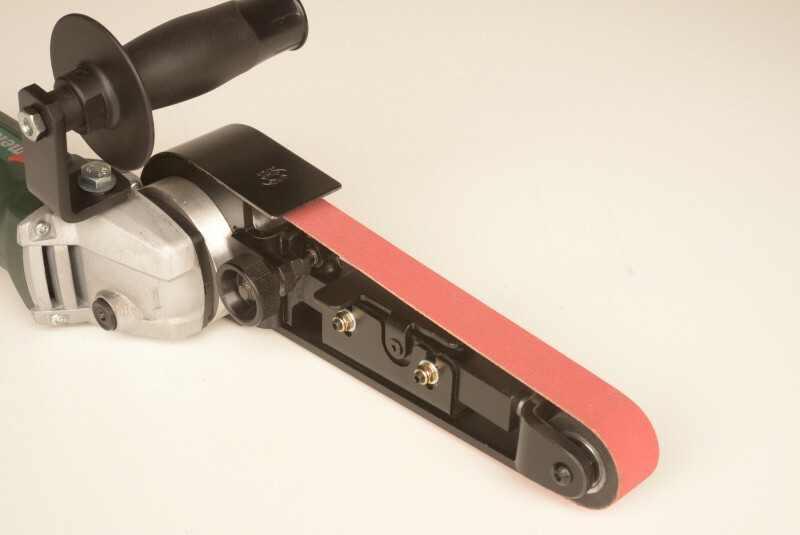 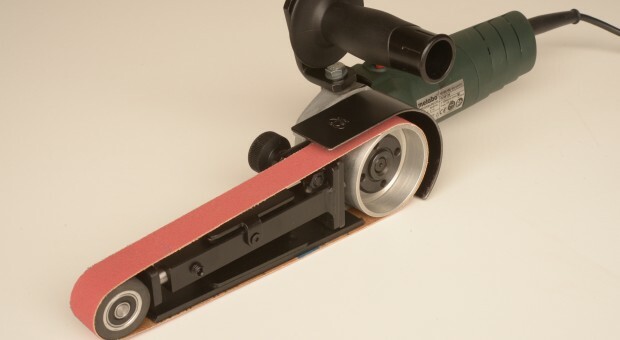 Excellent for grinding into sharp corners with free strapping and can also be bench mounted if required. 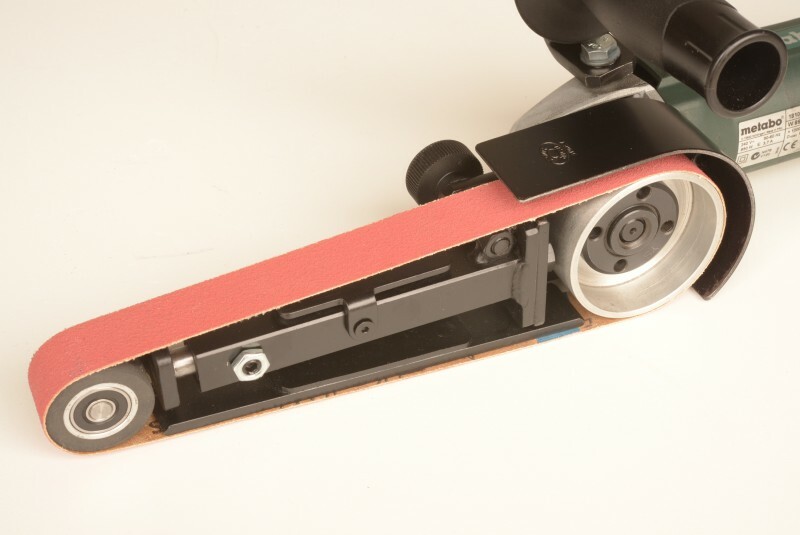 A better alternative to flap wheels at lower cost.